Show big numbers in green color. Day, month, and year with click action for calendar. 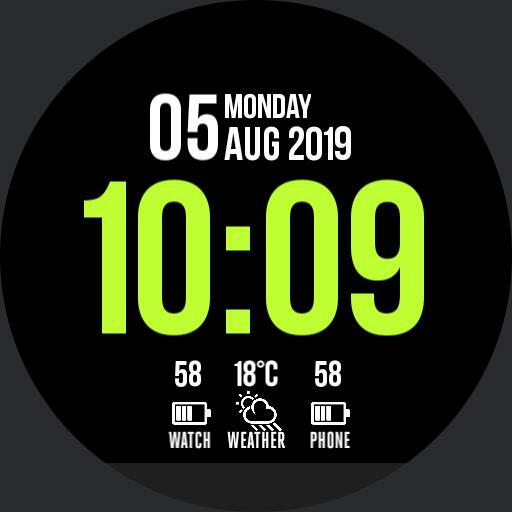 Phone and watch battery status. Weather information with click action for weather app.